Self-publishing your work means all the profits are yours, but it also means all the costs are yours. The two universally accepted areas where you shouldn’t skimp on quality are your cover and editing. But that doesn’t mean you can’t keep your costs to a minimum when it comes to editing without sacrificing quality. Today I’m going give you tips that can help you save money no matter what level or levels of editing you need. For a 60,000-word manuscript, if you receive a developmental edit that includes an editorial letter plus annotations within the manuscript, your cost will be somewhere between $750 and $1200. That’s outside of many people’s budgets.The longer your book, the higher the cost. One way to reduce your costs is to instead ask for a plot review and a critique of your first three chapters. In a plot review, you go through your book and write a paragraph detailing each scene. What’s the point of view character’s goal? What happens? What essential plot/sub-plot information is revealed in this scene? In what way does this scene affect the characters? What’s the total word count after each chapter? (This last one is important for structure.) Include as much detail as you can. For an 80,000-word novel, you might write 20-30 pages. Then hand that document over to the editor for review. They’ll look for plot holes, loose ends that haven’t been tied off, episodic writing, and places where the pacing may be wrong. If you go into enough depth in your summary, they’ll also be able to comment on your main character’s motivation, the consistency of their actions, whether they’re active or reactive (you want the former), and much more. In the critique of your first three chapters, your editor will point out your writing craft weaknesses and explain how to fix them. When you combine the two, you have a “poor man’s” developmental edit at a fraction of the cost. Because of how much time line editing takes an editor, it usually ends up being the most expensive step in the editing process. A line edit on 60,000 words can cost you between $1200 and $3600. You can take the do-it-yourself route by using editing programs or you can reduce how much a line edit will cost from an editor by running your manuscript through editing programs first. Some programs you might want to check out are EditMinion, AutoCrit, ProWritingAid, and Cliché Cleaner. The worse your punctuation and grammar, the more your copy edit will cost because many editors price based on how much work your manuscript needs. Learning grammar doesn’t have to be boring or painful. Many grammar books now try to make it both approachable and enjoyable. 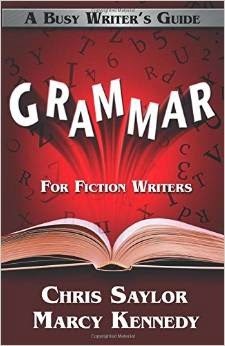 I recommend Eats, Shoots, and Leaves by Lynn Truss, Woe Is I: A Grammarphobe’s Guide to Better English by Patricia T. O’Connor, or my own Grammar for Fiction Writers: A Busy Writer’s Guide by Marcy Kennedy and Chris Saylor. I currently have a wonderful exchange system with a talented editor/writer friend so that we trade developmental edits, enabling us both to save money. Consider what skills you might have that you could trade with another writer who’s also an editor. Can you build websites? Format print and ebooks? Design covers? If you know an editor/author who might be willing to trade services, don’t be afraid to ask. They might say no, but they might say yes. In the new world of the author entrepreneur, we improve our chances of success when we work together. What other tips do you have on how to save money when self-publishing without sacrificing quality? These are such fantastic tips! Many editors cost even more than what you've quoted and new indie authors simply can't afford them. But this is a way to get a substantial edit of the kind you need most by doing a lot of the work yourself. I think your system of questions to ask about each scene will help the author think differently about each scene and maybe solve some of the problems before even taking them to the editor. Great tips! Sharing. Very interesting article and great information, but I'm really thrown by the example costs o.O I work as an editor, both freelance and with a publishing house. My rates are pretty middle of the road compared with the other editors I know, and none of us hit even the bottom tier of the prices mentioned with our freelancing (houses pay even less). So I would add, in addition to the great advice you've already given, to shop around! I work almost exclusively with the romance genre, as do the other editors I know. Perhaps the rates for editing within the romance community are just lower? Or maybe we all need to consider raising our rates ;-) I'm just saying comparison shopping is always a good idea. There are experienced professionals who don't charge an arm and a leg. And if you do choose to go with a professional editor, request a sample edit. Often there is a negligible fee involved, but it gives a glimpse of the editor's style and lets you decide whether or not it's a style you like and can work with, before you commit to paying hundreds of dollars for the entire manuscript. It will also let you know up front if the editor is legit, or if it's best to keep searching. Great blog. Shared it with my newbie writing class. Folks have no idea the cost involved in self-publishing a GOOD book! As a professional freelance editor for over 15 years, I appreciate seeing informative articles and blogs about editing, especially those that broach the subject as it relates to authors who will be self-publishing. From my perspective, I urge any author to perform the type of self-review process Marcy describes before letting your manuscript go anywhere - even family, friends, and your book group. Regarding 'critiques' - as an editor, I do not do critiques - I do assessments. My well-read family members and friends do critiques. My assessment is not based on my personal preferences, opinions or guesses about what makes a good book. My assessments identify the hard-core issues that cause your manuscript to be defined as 'rough' or first draft. I cannot teach you how to write through an assessment or even a developmental edit, but I can direct you toward solutions that will improve your manuscript dramatically. To me, there are developmental edits and copy edits. That's it. Developmental edits address the story, the telling of the story, the comprehension of the story, the consistency of the story, and every element that makes the story complete, engaging, and tight. Copy edits do not address story issues. They address grammar, punctuation, spelling, typos, formatting, sentence structure, word use, etc. But, a good copy editor will alert an author if developmental issues still exist. I only mention all this because over the years I determined that I needed to have a manuscript assessment service, with a flat fee, that would allow authors to gain appropriate and useful insights they could use to bring their manuscript up to developmental edit levels. I do limited direct-to-manuscript notations, especially to show examples of solutions, as well as a multi-page review that annotates issues along with guidance and solutions. The flat fee idea was created with author budgets in mind. 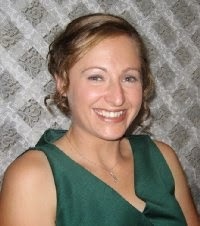 Like Gretchen mentioned, you quoted costs that are substantial and reflect a multi-pass edit. Sorry to go to long - but my last thought is this: I collaborate with my authors. I partner with them, give free consults, and am still there for questions, when they're hip deep in the self-publishing process, with support, cheer-leader antics, and solid advice on the many, many elements of self-publishing and marketing that are and will be encountered. The editors I know don't sell bytes of support, they perform substantial, cooperative support functions...and not for 'big bucks'. Thanks again, Marcy for bringing the concern for costs in self-publishing forward in this valuable post. Good response Maria! I am still a bit confused about the editing process and my fist novel unfortunately is a magnum opus.... I'm getting it to work thanks to this blog and your clarification. Hi Marcy. Do you have a rating for which of the online tools are best? I used auto crit for a year and found that it really helped, I'm assuming its the best one. These are great tips. It's also helpful to scrub the manuscript of useless words. Things like "very" and "suddenly" and many others pad and weaken the manuscript. If we scrub those out we'll lower the word count and ultimately lower the price. I'm glad this post gets that not being able to readily afford professional editing help isn't always because the author's not taking themselves seriously. "Can't" is NOT interchangeable with "Won't." As much as I want to put out quality work in all I do, I can't realistically spend a decade or more on EVERY project. Despite all the "Chest Beating" about building your back-list, there's a BIG difference between writing 10 books and having those same 10 books being equally high quality, and I wish more authors understood that.